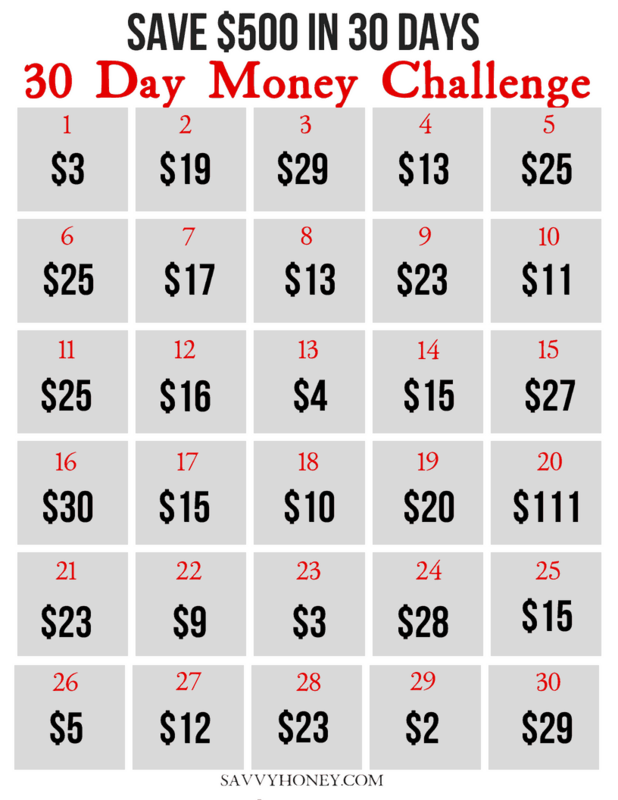 EASY Money Saving Challenge – Save $500 In 30 Days! Saving money is something we don’t always equate to as being fun. That’s why I created this 30 day money saving challenge for you guys. You’re going feel so good after you save $500! Money saving challenges are so fun. 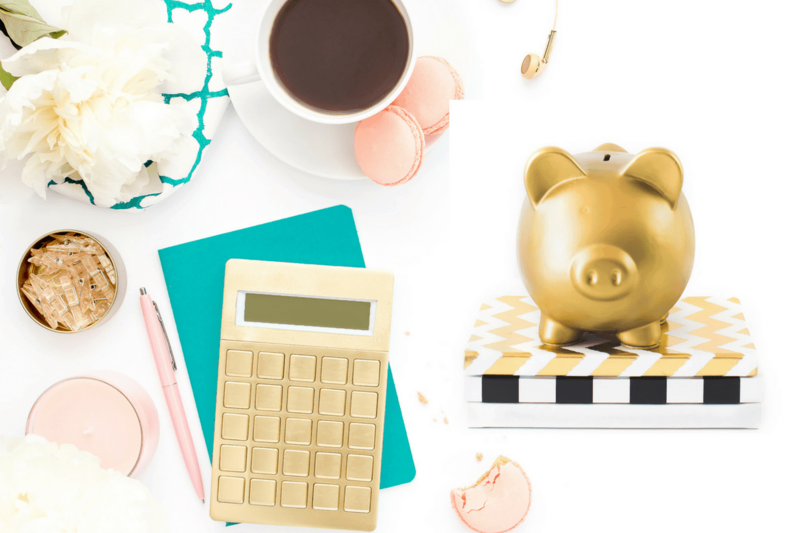 If you treat saving money as a game and cross each day off in this free money saving challenge sheet, it’ll make saving money a little less of a daunting task. Not only that, but after you save $500 in a month you’ll become motivated to keep saving. Grab your FREE 30 Day Money Savings Challenge here! Print it out and keep it somewhere you see often, like on the fridge. This will make it so you don’t forget to save money each day and will keep you on track to be successful! You can go in order or skip around depending on what amount you want to save each day. Cross off each amount you saved on the money challenge print out. Pretty soon the thirty days will be up and you will have saved $500! If you go in order, you may notice the amount you’ll save each week gets smaller as the month goes on. I did this on purpose because many people get paid at the beginning of the month and money seems to dwindle down by the end of the month because of bills and expenses. That’s just my logic behind how I laid out the amounts, but of course you have to do what works for you. If you have more money during the end of the month, you may want to randomly cross off amounts and not follow the sheet in order. If after the thirty days you feel inspired to save even more money, print out a new challenge and start saving for another thirty days. This is an easy way to start building an emergency fund. It’s always wise to have at least $1000 set aside for emergencies and from there you can keep adding to your emergency fund. Emergency funds are beneficial for unforeseen expenses or if you or someone in your household loses their job. Having an emergency fund will also give you some peace of mind because it always feels good knowing if anything happens, you’ll be covered financially. So for whatever your reason for saving, whether it be to start an emergency fund, have some fun money, pay off credit bills, etc., good luck completing the challenge. You so got this! I know if you set a little aside everyday you’ll be able to save $500 in thirty days and even if you take a little longer to save this amount, that is awesome as well. I’d love to hear from you guys once you have saved $500. Was it easy or hard? Are you going to take the challenge again? Be sure to comment below with your success story or let me know what you think of this money saving challenge!